to bring you next month's Author/Reader Discussion book! As an ash cloud impends over Paris, our English narrator wakes up alone and heads out in search of his French girlfriend, a habitual night-time wanderer. Passing through the unfamiliar landscape he recollects how they met and how their lives intertwined. But as his leads dry up and the ash falls heavier, he realises that even his most basic assumptions – about Paris, his girlfriend, and himself – are overturned once darkness falls. GREY CATS is a picaresque descent into the belly of the Parisian night – a mischievously comic novel that explores the psychology and mythology of place, questions the fluid boundaries of consciousness, and ideas of identity, love, and lost direction. This giveaway will run through February 8th. Winners will be announced here and via email on February 9th. 1 - Leave a comment stating that you'd like to receive a copy of the book. 2 - State that you agree to participate in the group read book discussion that will run from March 15th through the end of the month . Adam Biles has agreed to participate in the discussion and will be available to answer any questions you may have for him. and may be reached @missuku [twitter] or at [frances dot uku at post dot harvard dot edu]. Cheers TNBCC and 3:AM Press! I'd like to have a copy of Grey Cats, and agree to participate in the group read discussion. yesrousselot [at] gmail [dot] com - thanks. I have never won a book before and would love to win; please pick me! I will be glad to participate in the book discussion. My email is hearthome1@verizon.net. 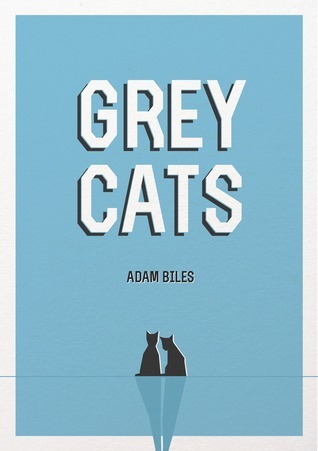 I would love to obtain a copy of Grey Cats, and am looking forward to participating in the group read discussion. Thank you and cheers from Poland! 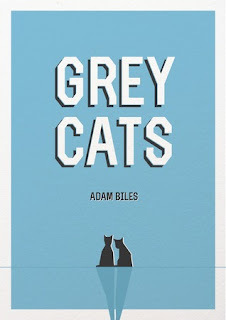 I would love to get a copy of "Grey Cats", and am looking forward to participating in the group read discussion. Oh yes please! I'm very interested in reading "Grey Cats". I'd be happy to participate in the discussion. Thanks! I would like to receive a copy and would love to participate in the discussion. I would love to be chosen to receive a copy of "Grey Cats" and to participate in the group discussion. My email is marissa@bmeagle.com Thanks! Well now, this sure sounds interesting! Doesn't sound like anything else I've read before...and could be a good change of pace / break from all the YA I've been reading lately! I would, of course, be happy to participate in group discussion if I am selected by the old randomized. Thanks! This book sounds really great. Will definitely be around for a chat when the time comes, should I be picked. Email is coming out soon! Thanks to everyone who had an interest in Grey Cats! More Author/Reader discussion giveaway coming each month!